I am amazed at how days and days can go by this summer. but I have been getting so little time here...with my friends. and I am sorry I have not been around very much to visit you. Perhaps I may be able to a little today. As a peace offering to my absence I give you a little bit of creativity. 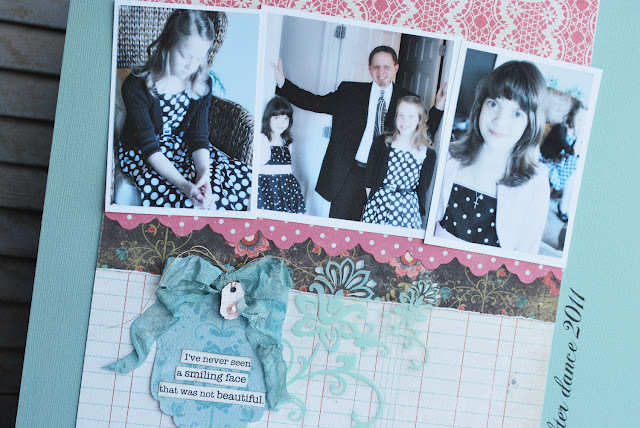 I wanted both my girls to have something I created to document their night with their father for their yearly Father Daughter Dance. 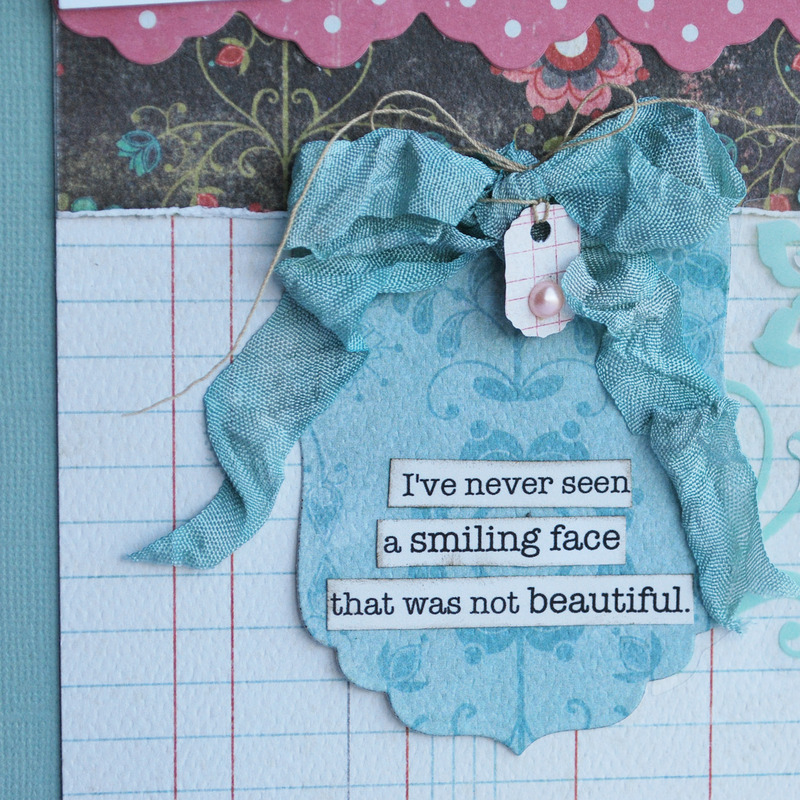 While I had all manner of Stella and Rose on my desk I made a quick little card. I am sure this one is inspired by Danielle Flanders. She is an amazing card and gift maker. So, are you finding your self so very busy this summer? Every year. Busier and busier. 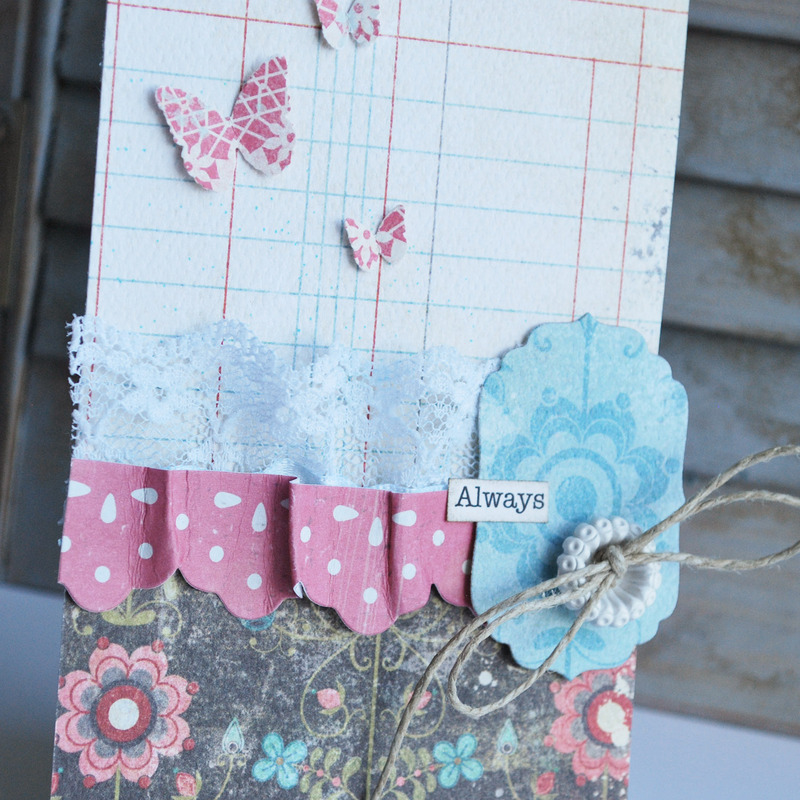 Beautiful scrap page Jamie, the colors are so nice together! super scary...I have your first layout saved as a fav of mine and as soon as I saw this new version I knew which one you had lifted, just gorgeous!!! 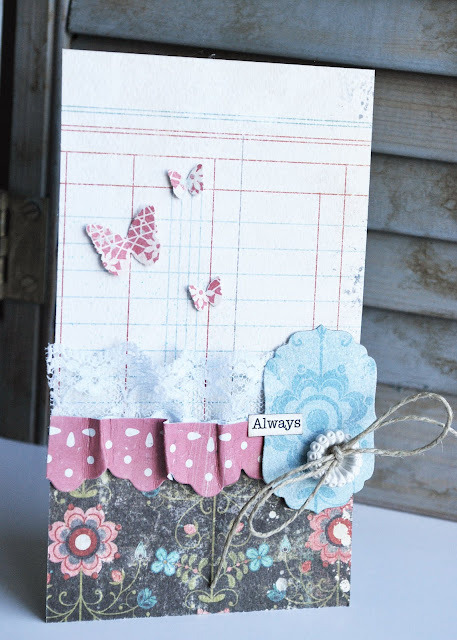 Lovely soft and delicate colors, very serene! Beautiful work!!! Summer zooms zooms by, then winters lingers forever, lol. Beautiful and oh so feminine! Perfect for the subject!